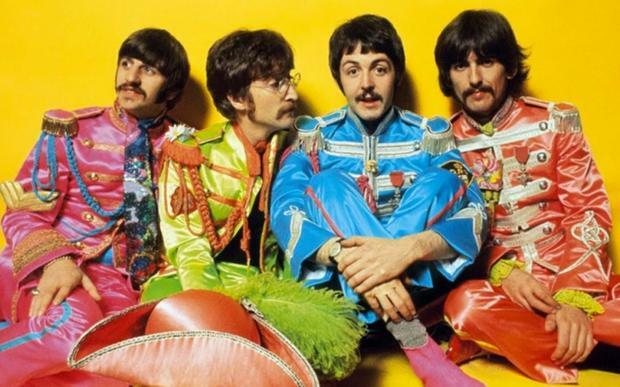 Few albums have been as much mythologised - or as exhaustively written about - as Sgt Pepper's Lonely Hearts Club Band and The Beatles' magnum opus provides the starting point for this absorbing, entertaining and highly informative book from one of the more engaging of the rock historians at large right now. David Hepworth has written in honour of the LP and it is his contention that the golden age of the album spanned the 15 years between the 1967 release of Sgt Pepper's and that of Michael Jackson's all-time bestseller, Thriller, in 1982. While thousands of great albums were released before and after those years - and continue to be released - it's hard to argue with Hepworth's theory that in that decade and a half, the album as a work of art was at its apex. Sgt Pepper, the author contends, ushered in the idea of a song suite where every aspect - from track sequencing to artwork - had been both meticulously thought out and treated reverentially by the then large record-buying public, while Thriller was released at a time when the Sony Walkman was making music listening a more solitary pursuit, vinyl was being usurped by cassettes and the spectre of the compact disc, soon to sweep all before it, loomed large. It's hard to argue with his assessment and this entertaining, anecdote-heavy history does a fine job in capturing a time when music was of paramount importance in the lives of so many people. As the English music journalist points out time and again, there simply wasn't a huge amount to do in the Britain of the late 1960s and throughout the following decade, and if you happened to love music, it tended to consume most of your waking hours. It's a time, of course, long before the never-ending distractions of the online world and in one of the most compelling chapters, '1977' (all chapters are named by year, and in chronological order), Hepworth writes about how enormous the NME had become for a generation keen to escape the mundane realities of this most tumultuous of decades in Britain with its three-day weeks and so on. Hepworth - whose previous book, 1971, argued that that year was rock's annus mirabilis - writes just as well on the social and political Britain and America of the era as he does about the music. And he writes exceptionally well about the latter. On an engaging chapter looking at, among other albums, Pink Floyd's all-conquering The Dark Side of the Moon, he writes: "Like Crime and Punishment or Beethoven's late quartets, it's used as a measure of earnestness... it's one of those handful of rock albums that is better known than the band who made it." Throughout the book, Hepworth draws on his own experience. He came of age in the late 1960s and spent parts of the 1970s working in a record shop. He could see vinyl's end coming when bands like the Carpenters and ABBA were starting to sell more copies in the newfangled cassette format. And, in an intriguing anecdote about the origins of a light portable music player, he writes about the German-Brazilian Andreas Pavel, who devised a makeshift gadget that would pave the way for the Walkman and, much later, the MP3 player and smartphone with millions of songs at our disposal. "Pavel intuited early on what the audio trade took years to realise - that the innovation the public would appreciate most was not one that improved the sound; instead it was the one that untethered music from the immovable object in the corner of the living room and allowed it to wander into ever corner of our lives." Prior to that, listening to recorded music was a much more communal pursuit - something that today's vinyl listening parties try to replicate. And while there's much to be said for the shared experience, A Fabulous Creation doesn't shirk from discussing some of the drawbacks, such as having to negotiate those snooty record shop assistants who seemed to pass judgment on every purchase. And while carrying a 12-inch record in public could mark you out as a person of great taste, you were much more likely to be painted into a corner. Today's streaming users may not listen to albums the way their predecessors once did, but they're likely to have far more eclectic playlists. Hepworth can be catty, too. The final part of the book features pithy descriptions of some of the most significant albums released, year by year, between 1967 and 1982. The entry for U2's debut, Boy, is acidic. "They had one style and it was their own. Nearly 40 years later, it doesn't sound like enough. What's most interesting is to be reminded of the fact that there was a time when you could put a picture of a naked boy on the cover of an album and not be accused of paederasty."